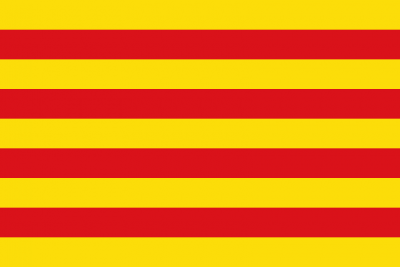 In June 2017 a referendum on Catalan independence was announced by the Government of Catalonia, formed by members of the Junts pel Sí coalition, supported by the Popular Unity Candidacy (CUP), for October 1 2017. The Spanish state government opposes any regional self-determination referendum, maintaining that the Spanish Constitution does not allow for a vote on the independence of any Spanish region. 1. The referendum on independence for Catalonia scheduled for October 1, 2017 comes five years after the beginning of the independence process marked by the gigantic demonstration of September 11, 2012. It reappears shaped by its three previous incarnations: first, as the official perspective of the movement in 2012-14; second, in the form of the mutation of the parliamentary elections of September 27, 2015 into a plebiscite on independence after the alternative consultation of November 9, 2014; third, in the proposal for a referendum agreed with the state within the framework of a new constitutional political majority formed by En Comú Podem;and Unidos Podemos in the general election campaigns of December 20, 2015 and June 26, 2016. The referendum obtained a new and unexpected viability after September 2016, following the commitment of the Generalitat [Catalonian government] to hold it by the end of 2017. It was reborn as a result of the phantasmagorical incompleteness of its three previous lives: the failure to reach its goal in 2012-14, the imposture of the plebiscite version, and the impossibility of a short-term favourable majority in the state (an impossibility, however, parallel to the great evocative power of the proposal launched by En Comú Podem that destabilized Catalan politics). 2. November 9, 2014 (9N) marked the end of the first phase of the movement opened in 2012. Halfway between a legitimate consultation and a frontal act of institutional and civil disobedience, 9N was finally a disobedient detour that avoided both a surrender to the central state dictates and a direct institutional confrontation. The Spanish federal government could not prevent the celebration of a democratic and massive event. But neither was the pro-independence movement capable of promoting an act of explicit institutional rupture that would precipitate events decisively. It opted for a last-minute feint which involved an activity that was not simply bearing witness, but nevertheless without opening a scenario of an unequivocal future. 3. By not projecting an unambiguous political message, by a combination of the level of yes-yes support and by the hybrid nature of the consultation (neither a recognized referendum nor an open institutional confrontation) 9N was paradoxically the perfect formula to have a referendum without doing so, and not to do it. Thus, as it was an unquestionable political and social success, it represented a serious strategic error, opening a strange situation of impasse and precipitating the pro-independence movement onto a new roadmap that would continue to be based on an internal contradiction: the same movement that did not dare to disobey the first legal ban on one of its initiatives was now at a second stage that required more social strength, mobilization and clashes: initiating a process towards independence within eighteen months through the conversion of parliamentary elections into a plebiscite on the question. 4. With the diversion towards the 9N alternative and the plebiscitary elections, the Catalan government, endorsed by the pro-independence social organizations, gained time but at the cost of taking a detour through paths that, sooner or later, would have to return to a situation not very different from that of autumn 2014. Without having passed the first test, it entered a second phase that always rested on a fragile uncertainty. In the end, the strategic inconsistency of the itinerary outlined to justify the plebiscite-elections of September 27 became through an impossible strategic rewind, the initial goal of 2012-14, the referendum, was again put forward. This reflected the exhaustion in itself of the policy followed after 2012. 5. Implicitly, but without ever recognizing it, the Catalan government and the independence movement self-amended their own road map set in autumn 2014. Those who then argued that there were no conditions for a referendum, and sponsored an alternative consultation and the conversion of the parliamentary elections into a plebiscite, have not given any explanation, nor any serious public political balance sheet, of their strategic mistakes during these three years. In the end we have come back, but in different conditions, to the starting point. The need for a referendum as a precipitating and catalyzing moment of a democratic confrontation. 6. We cannot be neutral in the clash of legitimacies between the state and the Catalan government represented by October 1. On the one hand there is a reactionary and antidemocratic approach. On the other, a democratic demand. If it is the state and the PP government that win, their position will be strengthened. It is not certain that the referendum can be held under fully normal conditions, but there should be no doubt: this is the responsibility of the state, which has closed every door to negotiating its holding. Nor can it be argued, as some do, that the referendum is precipitous and the fruit of impatience for independence. Rather the process has been the opposite, kicking the ball forward for five years, and always with Convergencia clinging, ever more precariously, to the rudder. 7. For those who, inside and outside of the pro-independence movement, have a perspective of social and economic change, there are two storm clouds flying over October 1. The first, the attempt of the Catalan right to continue to lead Catalan politics in an artificial way, using another milestone of an independence process that has been built since 2012 with the idea that the leadership of Convergencia (now Catalan European Democratic Party, PDeCAT) was imperative. The second, ERC’s Republican Left of Catalonia claim to become the central party of Catalan politics, stealing part of its social base from the Catalan right, but also blocking the deployment of the potential of Catalunya en Comú. Short-circuiting the aspirations of PdeCAT and ERC is decisive in order to form a constituent and post-neoliberal majority in Catalonia in the future. 8. In the re-alignments preceding October 1, the unknown is the position of Catalunya en Comú. It may not have yet taken its final position, but it has advanced much more in internal debate, and the provisional consultation with its affiliates is positive that it will have some kind of participation. After marking Catalan politics with its two electoral victories in the general elections of December 20, 2015 and June 26, 2016 and challenging the independence roadmap with its proposal to build a state-wide political majority favorable to the referendum, it was paralysed and placed on the defensive once the Catalan government set the course for the unilateral referendum. Contrary to strategic anticipation, its policy has been one of formal passivity. 9. Without a convincing discourse, and marked by electoralist tactics, a lightness of principles and an increasingly institutionalist mentality, the inconsistencies of Catalunya en Comú prevent it from exploiting those of the pro-independence movement and particularly the left-wing of the latter after the failed journey from the 9N alternative to the return of the referendum. Fearing being dragged along by the Catalan government, in reality their passivity is a gift to the PDeCAT and ERC, who will be able to capitalize better on October 1 if they present a positive balance sheet, or will try (rightly or not) to attribute to Catalunya en Comú their failure if things are not going well Passive spectator? Subaltern and second row participant? Both are very problematic options for a force like Catalunya en Comú. 10. Catalunya en Comú’s passivity and discomfort before the referendum is a concrete reflection of the superficiality of its position on the national question and the debate on independence, where it has prioritized a softly-softly approach to complex issues instead of addressing the great strategic debate on how to set a perspective and a concrete policy that would put an end to the bifurcation of coming from the 15M legacy and the independence process, and seeking points of common agreement in the perspective of breaking with the framework of 1978. The unexplored paths of the federalist-independence synthesis surrounding the slogans of the Catalan Republic and the Catalan constituent process remain there as future opportunities lost in the present. Like battles lost without even being waged. Josep Maria Antentas is a professor of sociology at the Autonomous University of Barcelona (UAB). This article first published on the International Viewpoint website. 1. En Comú Podem (Catalan for In Common We Can) is an electoral coalition formed by Podemos, Barcelona en Comú, Initiative for Catalonia Greens and United and Alternative Left, lead by the Mayor of Barcelona, Ada Colau, and formed in October 2015 to contest the 2015 Spanish general election in Catalonia. See Wikipedia.